Valcourt, Québec, March 17, 2015 – S3 Power Sports’ Dustin Jones and Shane Dowden win, on their first attempt, one of the toughest races in North America, the legendary Mint 400, on BRP’s Can-Am Maverick MAX X ds Turbo side-by-side vehicle. The S3 Power Sports team traveled from Louisiana to Las Vegas, NV last weekend to compete in the 2015 Best In the Desert Mint 400 with very little experience racing in the desert. 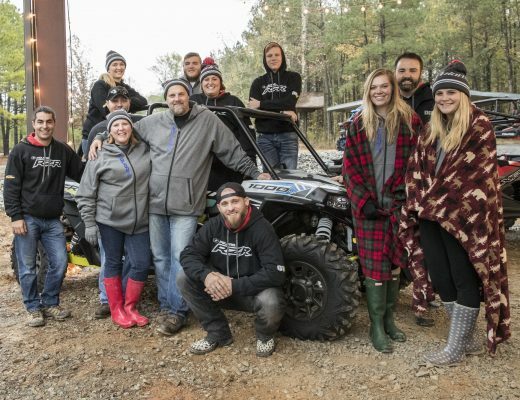 With nearly 50 side-by-side pro class entries, S3 Power Sports overcame the odds to win one of the most prestigious and historic desert races in North America on its Can-Am Maverick MAX X ds Turbo. 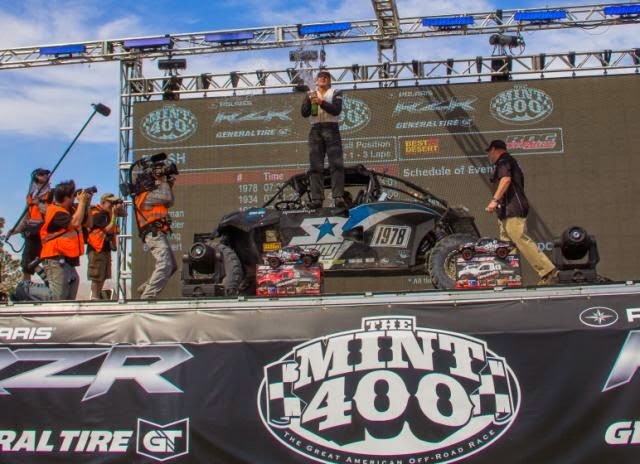 “It feels amazing to get the win at the Mint 400! The Maverick MAX X ds Turbo had the reliability handling and the power to conquer over 480 kilometres (300 mi) of harsh desert terrain. It was an absolutely brutal course with big rocks and big whoops, and we couldn’t be happier with how the Maverick MAX X ds Turbo performed,” explained Jones. The Can-Am Maverick Turbo X ds Turbo model features the first factory-installed turbo that delivers 121 hp, giving it the clear power advantage with 40% more torque than its closest competitor1. Can-Am racers were also able to sweep the GNCC Pro 4×4 ATV podium at GNCC Round 2 in Washington, GA last weekend, with Renegade racers Bryan Buckhannon, Robert Smith and Rick Cecco. In addition, Can-Am X-Team Maverick X xc racer Treavis Poynter won the first side-by-side race of the season in the premier GNCC XC1 Pro UTV – Class. Based on BRP internal testing. About BRP BRP (TSX: DOO) is a global leader in the design, development, manufacturing, distribution and marketing of powersports vehicles and propulsion systems. Its portfolio includes Ski-Doo and Lynx snowmobiles, Sea-Doo watercraft, Can-Am all-terrain and side-by-side vehicles, Can-Am Spyder roadsters, Evinrude and Rotax marine propulsion systems as well as Rotax engines for karts, motorcycles and recreational aircraft. BRP supports its line of products with a dedicated parts, accessories and clothing business. With annual sales of over CA$3 billion from 105 countries, the Company employs approximately 7,100 people worldwide.